As our business continues to grow we're looking to take on an unpaid product management intern to assist our product manager Todd with improving the website conversion rate. manage design lifecycle: conduct brainstorms, prototyping, design reviews, user testing, etc. The role would ideally suit someone studying a business degree who wants to gain some practical technology and e-commerce experience. Having also studied engineering/computer science would be an asset but is not required. Shoes of Prey features one of the best shoe design experiences on the web. With such a bright group of engineers, creative copywriters and graphic artists, marketing specialists, and shoe crafters behind this website, there is much you can learn from an internship with us. The position is unpaid but will include lunch, snacks and of course, shoes! The role will be based in our Surry Hills office. To apply for the position, please email your resume and cover letter to todd@shoesofprey.com. 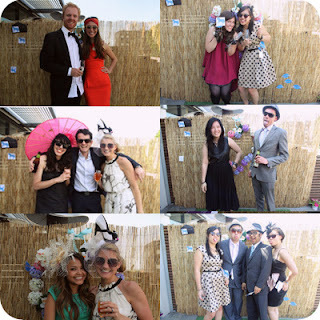 The pictures are from a recent Melbourne Cup-themed happy hour!